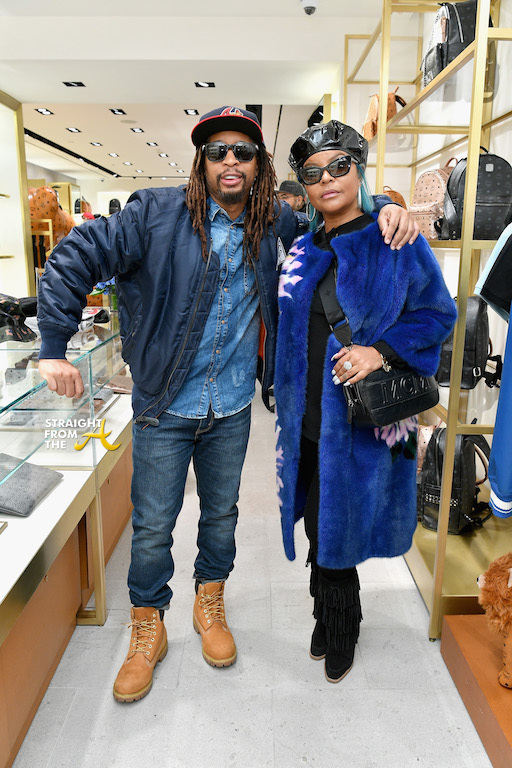 The Super Bowl party train continues in Atlanta as Luxury brand, MCM, hosted day one of an exclusive two-day VIP shopping event at their Lenox Square location earlier today (Feb 1). Top music and fashion figures gathered to celebrate Super Bowl LIII with limited edition MCM x Wilson Official NFL Footballs. 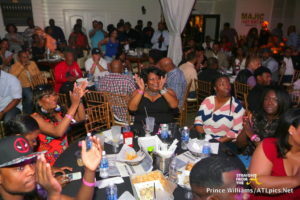 Guests included: Lil Jon, Safaree Samuels, Keri Hilson, Misa Hylton, Drumma Boy, Don Benjamin and many more! 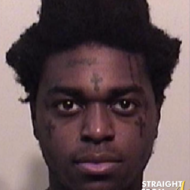 Clifford ‘T.I.’ Harris has been very busy this week. He faced the frontline in battling a local eatery this past weekend (click HERE if you missed that), then hit the stage Monday alongside his Grand Hustle family. 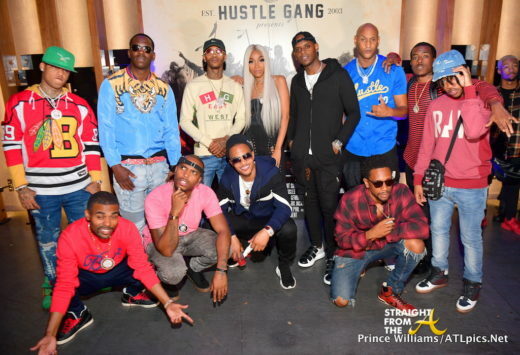 The entertainment mogul hosted the Hustle Gang album release party and concert for the collective’s ‘We Want Smoke’ album, which is scheduled for release on Friday. 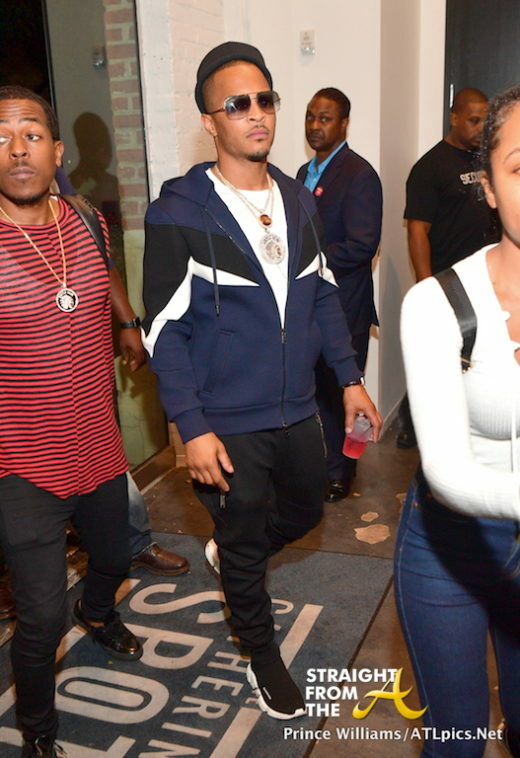 The event, which was held at the Gathering Spot in Atlanta and Hustle Gang members, Young Dro, Trae Tha Truth, Tokyo Jetz, London Jae, Translee, Yung Booke, Rara, Brandon Rossi and Li’l Duval all joined in the celebration. ‘Growing Up Hip-Hop’s’ Angela Simmons played host to The Greenlight Project’s Fall/Winter fashion show this past weekend. 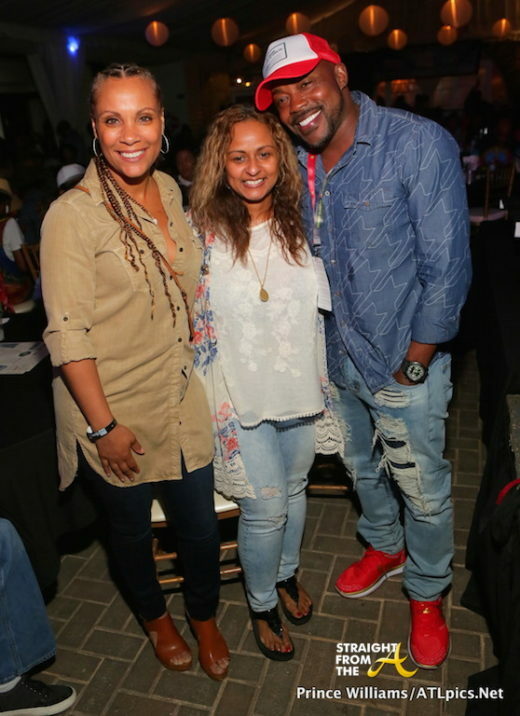 Dai Moda’s ‘eco-chic’ clothing line partnered with celebrity wardrobe stylist Sudi Spence of sudiSTYLE to launch its new Fall men’s collection and reveal its new women’s Fall line. 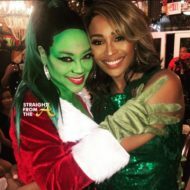 The event was held at Trees Atlanta and other notables in the audience included Love and Hip-Hop Atlanta’s Mimi Faust, Ariane Davis and Africa Miranda. 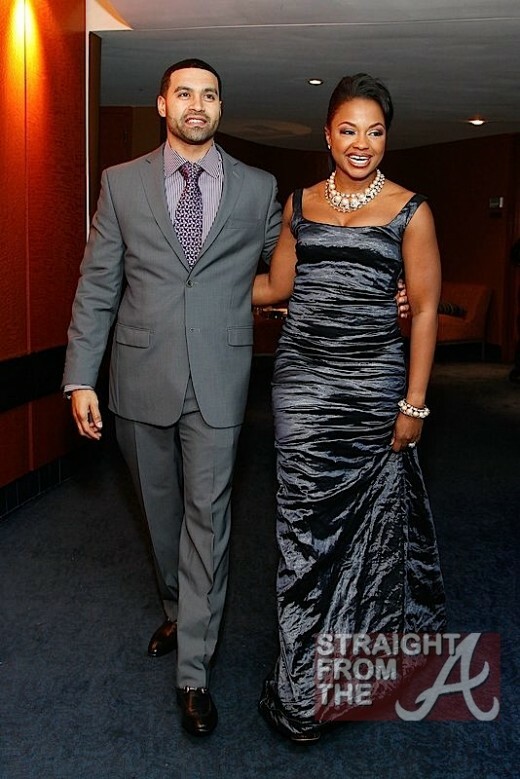 Attorney Phaedra Parks of the Real Housewives of Atlanta and her handsome hubby Apollo Nida were picture perfect when they were spotted out and about a few days ago. 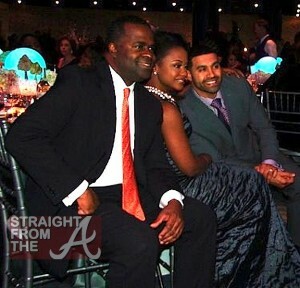 The couple attended Captain Planet Foundation’s annual benefit gala alongside 700 of the most environmentally conscious elite of Atlanta which included Atlanta Mayor Kasim Reed. 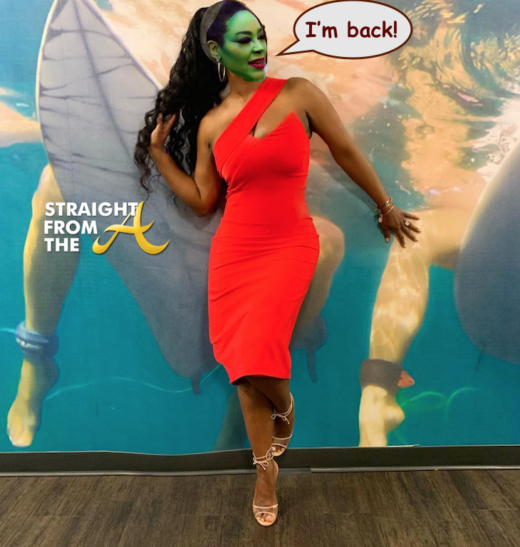 The event was held at the Georgia Aquarium last Friday evening, and apparently rumors are swirling after an announcer “slipped up” and revealed some news about Phaedra. 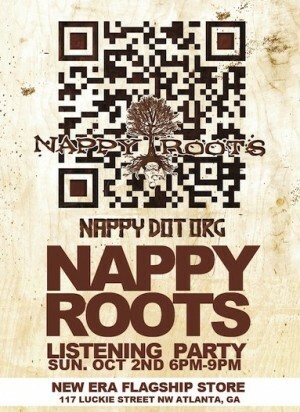 Grammy award winning, platinum selling rap group Nappy Roots held a listening session last week (October 2nd) for their new cd “Nappy Dot Org,” which hit shelves today (October 11, 2011). 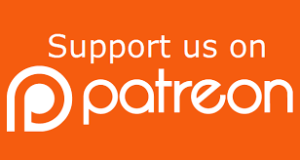 Nappy Dot Org is the latest offering from Nappy Roots and they enlisted Atlanta-based production trio Organized Noize to produce the new album. Organized Noize members Rico Wade, Ray Murray and Sleepy Brown, fellow ATLiens known for creating hits with OutKast, Goodie Mob and the rest of the Dungeon Family, took on the task producing tracks that accentuated Nappy Roots’ signature “country boy” sound. 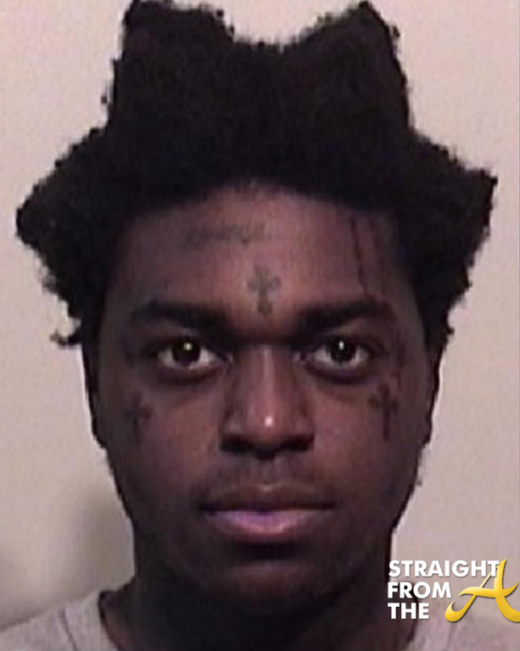 How can we ever forget the addictive twang of “AwNaw (Hell Naw)“?